This might not be the greatest time for the young Philadelphia Phillies to be visiting Fenway Park for a brief interleague series. Yes, the Phillies are in first place in the National League East, leading the Atlanta Braves by 1 1/2 games. But after belting a team-record seven home runs in the opener of a four-game series in Cincinnati, they stopped hitting, didn't pitch and lost three in a row to the Reds. Now they have to visit the sizzling Boston Red Sox, who have won three in a row and 17 of their last 21. They have won 13 of their last 15 at Fenway, where they have posted the best home record in the major leagues at 37-14. Their starting pitchers have allowed zero earned runs in eight of the last 11 games. David Price (11-6) looks to continue that run against Phillies ace Aaron Nola. [post_ads]Philly starters allowed 11 earned runs in 16 1/3 innings in the last three games. But Nola, an All-Star, comes in 12-3 with a 2.42 ERA this season. "I think it's more the waves and the ebbs and flows of a baseball season," rookie manager Gabe Kapler said after Sunday's loss. "You can click on some days. You don't click on others." For Kapler, Monday marks a homecoming. He was a member of the 2004 Red Sox team that ended the franchise's long drought with the first title since 1918. He was with the Red Sox from 2003 to 2006 and also worked for the organization. Kapler batted .272 with six homers and 33 RBIs for the 2004 team and was in the postseason with Boston in 2003. That's the distant past. Now his Phillies (58-47) have four games against the Red Sox (74-33) coming in a two-week span. The teams play Aug. 14-15 in Philadelphia. Boston is as many as 41 games above .500 for the first time since 1946, when it entered play on Sept. 28 with a 104-48 record. The Red Sox are the fourth team since 1960 to win 74 of their first 107 games. Only one of those, though, the 1998 New York Yankees, went on to win the World Series. The Red Sox, who lost their series opener against the Minnesota Twins, got seven shutout innings from Nathan Eovaldi in his debut with his new team Sunday. "What a great way to start his career with the Red Sox," Boston manager Alex Cora said. "People can now talk about how good he is and how he's going to help us out." J.D. Martinez drove in all three runs in the 3-0 win that kept the Red Sox 5 1/2 games ahead of the winning New York Yankees atop the American League East. The Yankees visit Fenway for a four-game series starting Thursday night, with Eovaldi in line to face J.A. Happ, who won his debut with New York on Sunday. While Nola faces the Red Sox for the first time in his young career, Price is 1-1 with a 4.67 ERA in three career starts against the Phillies -- and 15-12 in interleague play. He worked a scoreless inning in Baltimore last Wednesday before the game was rained out -- and is in line to pitch against his nemesis, the Yankees, next Sunday night. Three Phillies with significant at-bats against Price have big numbers against the left-hander. 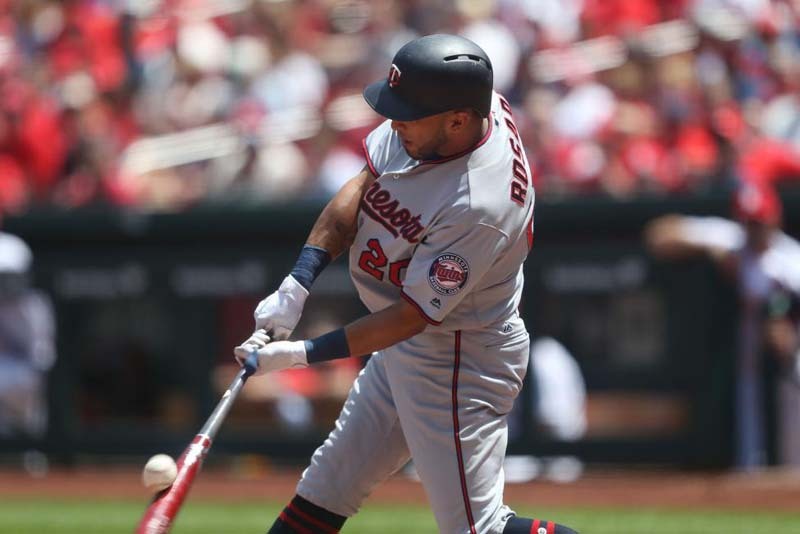 Newly acquired Asdrubel Cabrera is 7-for-20 (.350), Trevor Plouffe is 10-for-29 (.345) and Carlos Santana 10-for-31 (.323). Martinez (1-for-3, .300) and Eduardo Nunez (0-for-3) are the only current Red Sox hitters who have faced Nola. The Red Sox placed Rafael Devers on the 10-day disabled list with a hamstring injury Sunday and recalled Tzu-Wei Lin from Triple-A. The Phillies optioned Jesmuel Valentin to Triple-A.